Van Morrison’s Virgo Clowns. 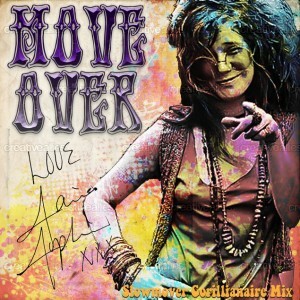 Janis Joplin’s Down on Me. 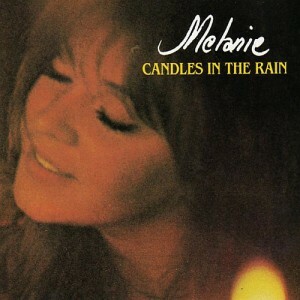 Melanie’s Candles in the Rain. These are three songs of decades past that come to mind whenever I think about the dismal reality of Oldies Radio in this country. Unfortunately, the reason they come to mind is that they are great songs that are never, ever played on the radio! Oldies Radio in any town in America is all about playing the same forty songs in a perpetual loop. If I had a conspiracy theory bent, I would think they were deliberately trying to kill off interest in the most creative era in popular music history. That is what they are achieving, whether it is their aim or not. Plenty of decent-but-not-groundbreaking little rock tunes hit Number One. And these are all that are played. Ever. Bachmann Turner Overdrive’s Taking Care of Business has probably been played more times than the Star-Spangled Banner. If I hear Pat Benatar’s Hit Me With Your Best Shot one more time I am going to hit someone with my best shot. It is truly tragic to contemplate what is absent from the airwaves. This music is lost, utterly, to the younger generation. And while only the most musically sophisticated people of any generation will care enough to research past sounds, it is a shame how they are made to search and dig and “pan for gold” when it could just be there for them, ready to be explored. It is most definitely not there for them on Oldies Radio today. Janis Joplin left a wealth of timeless blues and soul rock ‘n roll. Today she is known for basically one, count it, one song. Me and Bobby McGee was a fine song, but certainly not her best. It is now played as the sole surviving relic of her career, because it hit Number One, due to being released just after her shocking early death. Bob Dylan has written over 600 songs, many being of staggering, cosmic poetic power. When are his classics ever played on the radio anymore? Even bands like the Beatles that were imaginative enough to sound fresh after repetitive playing will not have their deeper album tracks on the radio. When was the last time you heard Tomorrow Never Knows on an oldies station? Subscribing to a satellite radio station for classic rock will bring in a better mix, but you’re paying for that, and you’re still not hearing even the songs I could name off the top of my head. Web-based classic rock stations seem to be running the same repetitive playlists you will hear on the commercial oldies station during your morning commute. Does anyone listen to the radio except during the drive to work? Another big part of the problem is that the creative-breakthrough material of the past is lumped in with the mediocre, run-of-the-mill songs of the time, along with a slew of novelty songs and crappy songs. It truly is like panning for gold to try to find the great nuggets of the musical legacy of the Beatles era. This was the great golden age for popular music in the Western world. Roughly 1964 to 1974, it was dominated by the Beatles even after they broke up. It was a sound of humanity, imagination, and soul. I mentioned that I am not into conspiracy theories. At the same time, we have to bear in mind that a lot of the 1960s music was anti-war, or “protest rock” of some kind. I would sure hate to think that it is being deliberately suppressed for that reason. Tagged 1960s, Beatles, classic rock, Janis Joplin, Oldies rock 'n roll, popular music, Rock 'n roll. Bookmark the permalink. Very good point. I finally gave up on vintage rock stations and am instead listening to YouTube playlists I put together myself. I’m always on the lookout for lesser known gems to add. You’ve given me some ideas.